Now that the holidays are here, it's time to decorate and invoke a little holiday cheer! How are you decorating this year? Whether you're building a giant light display, 3D printing a custom Menorah, sewing Christmas stockings or baking a gingerbread village, we want to see it. Looking for inspiration? Check out our How to Decorate for the Holidays collection! Submit your best holiday decor instructables for your chance to win a 32GB iPad or a Dremel Maker Kit. The Holiday Decor is closed. Create a new Instructable that fits the guidelines outlined in the contest description above. To be eligible, Instructables must be published between Dec 3, 2018 and Jan 7, 2019 (11:59pm PT). Upon publishing your Instructable you'll see checkboxes for open contests. Select Holiday Decor . If you have entries currently eligible for entry, it will also show up by clicking "Enter this Contest" on the right side of this page. Sponsor. The Instructables Holiday Decor Challenge (the "Contest") is an online contest with skill, ability and knowledge components that is sponsored by Autodesk, Inc., a Delaware corporation having its principal office at 111 McInnis Parkway, San Rafael, CA 94103, USA ("Sponsor"), in connection with the Instructables service and website, www.instructables.com, (the "Sponsor Site"). The Contest is co-sponsored by the company or companies listed here, if any (each, a "Co-Sponsor"): The Contest is governed by these Official Rules (these "Rules"). For any questions regarding the Contest, the Sponsor may be contacted by email at [service@instructables.com] or by mail at the address identified in Section B.16 ("Winner's List; Mailing List") below. Overview; Object of the Contest. The object of the Contest is to create an Instructables project that showcases the build of any holiday decor item. that meets the format, content and other requirements identified in Section A.5 ("How to Enter") below. All currency value references in these Official Rules are as indicated. Grand Prize (1): One Grand Prize winner will receive a 32GB iPad in space gray and an Instructables prize pack. 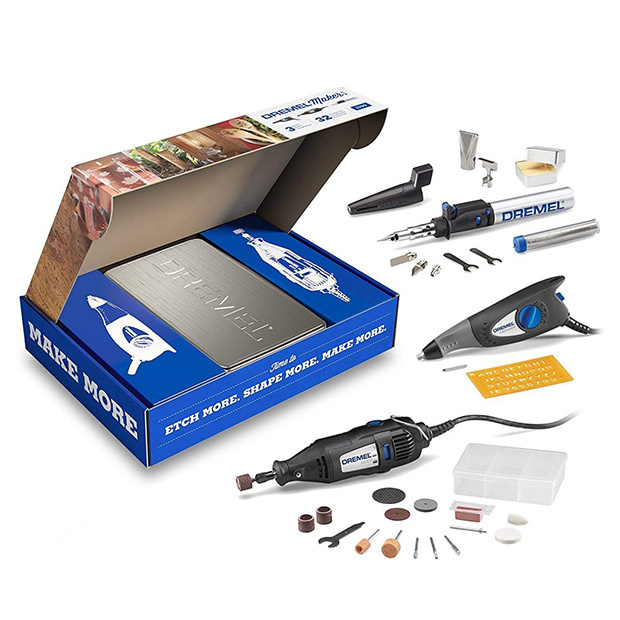 First Prize (3): Three First Prize winners will receive a Dremel Craft and Hobby Maker and Project Kit and an Instructables prize pack. Second Prize (5): Five Second Prize winners will receive a 16.4 foot roll of DreamColor smartphone controlled LED strip lights and an Instructables prize pack. Runner Up (10): Ten Runner Up winners will receive an Instructables prize pack.